Discussion in 'Price Drops, Must-Have Freebies, and Deals' started by Gamer1st, Mar 27, 2015. 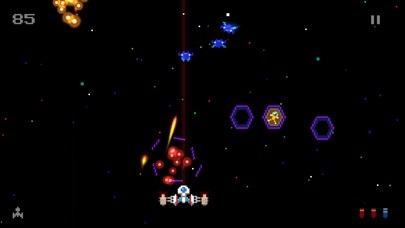 Classic early 80's style arcade space shooter, with a laid back vibe and easy, smooth controls. Just chillax and shoot some aliens for a while. - Variety of different aliens that swoop down at a nonchalant pace (it gets crazy later on). 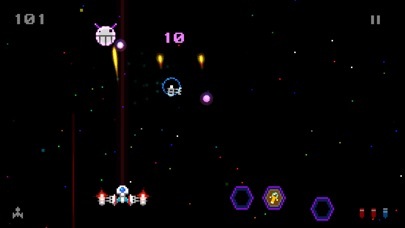 - Unique boss every 5 waves - Shoot meteors, debris, SPACE HIVES - Scavenge and attach gadgetry to create varied powerups - Rescue hapless humans floating around in space FOR POINTS - Every 10 waves passed, you can continue from that point! Each new wave is unique and incrementally harder. 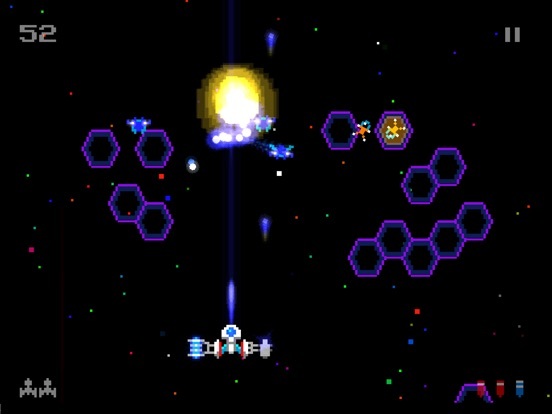 A bit of Chillaxian video... playing from wave 31 up until the first boss. As usual, the audio is out of sync because I recorded under Linux. It's free already here in CE. 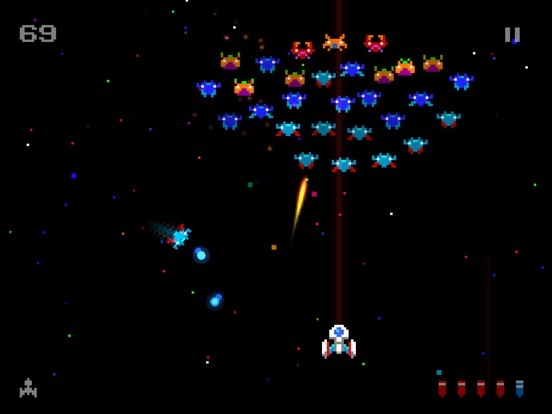 Tried this last night and a pretty good classic shooter. 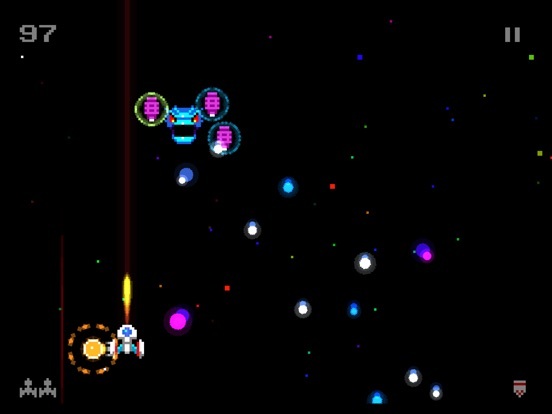 Gets a little repeditive redoing the easier levels but its a fun shooter all the same. 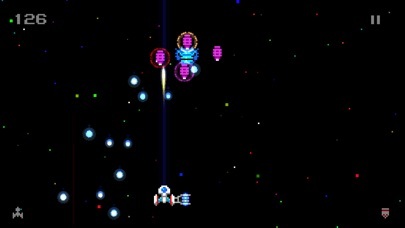 Controls are good with two arrows on both sides of the screen along with autoaim. Thanks for the heads-up, I never got around to buying this one. Wow! 944 KB (that's right, less than 1 MB) installed. Kudos to the dev, this is old school programming at its best! A portrait mode would be really welcome! I bought this a day ago before it went free. I don't regret it, it is worth the $2 ! 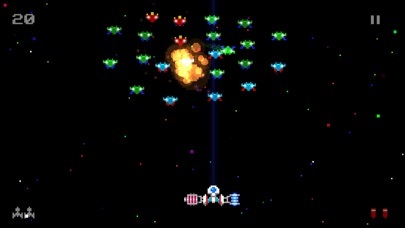 Truely an excellent game, though it feels more like Galaga than Galaxian to me. Yeah CHILLAGA is going to be the sequel if I do one, heh. 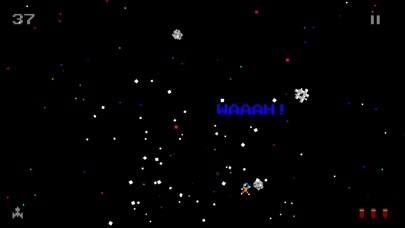 I downloaded Chillaxian today, and haven't stop playing it. 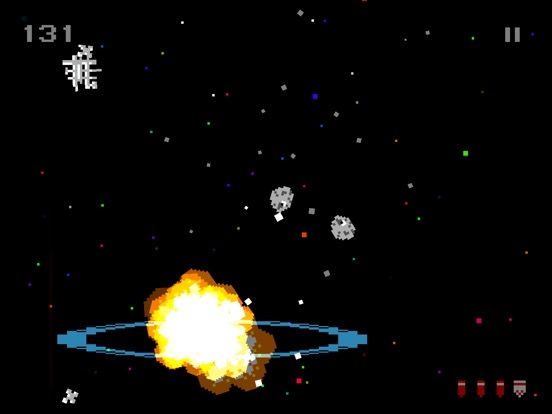 Chillaxian has an awesome 80s charm to it, with a hint of modern element (ie: explosions). Anyone else craving a can of TAB soda and Pop Rocks? Game play is great. The 1979 mode is a nice touch. Controls are smooth and responsive. 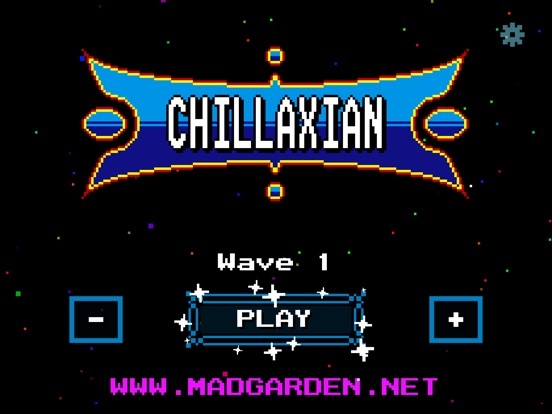 Been playing only for a short time, but Chillaxian is a keeper for me and would definitely recommend it. You have to admit it though, Chillaga just sounds right.